Did you know that you could earn up to $30/hour working from home as a Call Center Representative? Also, did you know that you could be getting benefits such as 401(k), health, dental, and vision insurance, and even paid time off while working at home in this role? Lots of staffing companies are looking for people who can fill Call Center Representative positions. These companies don’t ask that their reps hold any particular degree, although experience in the industry is a plus. So, if you’ve ever had any kind of customer-interfacing job, such as a cashier or a waiter, be sure to highlight that in your application. What are some other requirements for this role? High-speed Internet– regardless of the company you’ll be working for, you’ll need a fast connection in order to quickly resolve customer inquiries and/or issues. This will involve both inputting customer info and looking up online resources. Average or better typing speed– Most call center staffing agencies will expect their reps to type at 25 words-per-minute or better. Luckily, getting up to this speed isn’t too difficult. There are also plenty of free online typing courses that can help. Dedicated landline– With WiFi being spotty and/or undependable in some locales, agencies may ask that you have a dedicated landline in your home. Background check– Some companies will ask that you provide a background check before hiring you. The typical cost of a background check is $50-$65. Training– Different call center companies will require different levels of training for their agents before allowing them to take calls. Fortunately, this training is paid for, or should be paid for, by the hiring company. Most call center agencies train you after you are hired. So, which staffing agencies offer call center jobs that you can do from home? Adecco – Search “Call Center Rep” on this site and you’ll find a number of jobs that can be completed at home and which pay from $15-$30/hour. Bear in mind that some of the listed positions ask that you travel to the work site for check-in at the start of your training. Once you complete that requirement, you can do the rest of your work at home. Alorica at Home– This company hires on its call center agents as employees and offers paid training. 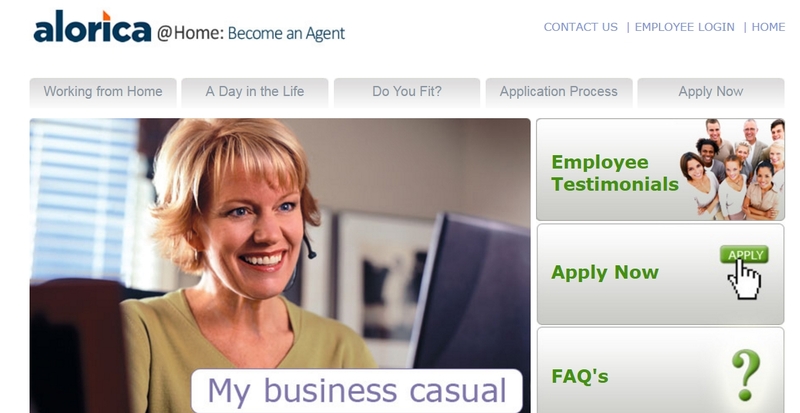 Agents can choose to be paid by the minute or by the call or earn just earn an hourly rate. Alorica guarantees that its agents will always earn at least the minimum wage and even if their call minutes or calls do not add up to the minimum wage. Cruise– This company primarily hires home-based travel agents to help customers book cruises. As a Cruise leisure agent, you’ll be expected to sell both cruises and travel insurance, offer package deals and upgrades, and possibly resolve booking issues. Some call center jobs require fluency in English and Spanish. Cruise offers paid training, after which its agents earn a base hourly pay plus sales commissions. Great Virtual Works – This new call center pays its agents up to $15/hour and offers flexible hours as long as a minimum of 15 hours/week are maintained (with 5 hours worked on a Monday). There is a certification class that lasts five weeks and which must be passed before agents can start work. Kelly Services – On this site, you’ll find at least 30 technical support advisor positions that pay $13-$17/hour depending on successful completion of training. Advisors who complete the training become eligible for a $500 bonus and a $250 performance bonus. There are also promotion opportunities into the Leadership, Quality Assurance, and Training departments. LiveOps – This virtual call center hires remote and home-based reps on a regular basis. LiveOps agents can work in many different fields, including insurance, IT/technology, roadside assistance, healthcare, insurance, etc. There are several earning options for LiveOps agents; while some agents might be paid at a per-minute rate of $0.20-$0.25/minute, others may receive per offer payments (POPs) or even commissions based on sales. Sykes Enterprises – This company offers telecommute customer service jobs in both Canada and the USA that pay $12.50+/hour. While you are in training, you’ll earn $10.50/hour. Additionally, the company provides its reps with benefits such as 401(k), health, dental and vision insurance, and tuition reimbursement. Teleperformance – This company lists state-specific at-home call center jobs that pay $13+/hour and offer benefits including health insurance and PTO. Current states offering at-home positions are Arizona, Colorado, Idaho, Iowa, Missouri, South Carolina and Texas. When searching this site, input the keyword “Call Center Representative,” which will pull up all types of customer service jobs, including those in technical and bilingual support. Transcom – This company offers Customer Service Representative (CSR) jobs all over the world at a rate of $8-$12/hour. CSRs are expected to work 32-40 hours/week in customer care, sales, and technical support roles. VIPdesk Connect– This site offers virtual customer service jobs on both a part-time and full-time basis. Reps are called ‘brand ambassadors’ and help customers make informed choices about their luxury brand and service purchases, exchanges, and returns. There is some upselling and cross-selling involved too. The compensation for these positions is up to $18/hour. Working from home as a call center representative does offer a great deal of flexibility. Just be prepared to spend your days talking. If you’ve got a nice, quiet work environment and you don’t mind talking with others, this will be the perfect opportunity for you. Hey Steve, this was really informative article as i’ve wanted to be a work from home call centre representative for quite some time now. The concern is always going with a company thats actually reputable and your 10 list is very helpful. Are there any other worth it like as some honourable mention ? I have been reading this post and i found out some things i never new about with regards to working from home have you ever done the call centre work your self? And the training the company’s provide i wonder some times about how they can train a person who is on the other side of the world who may not speak the chosen language. That is one thing that amuses me when you experience a call centre that is in a different country and the weather is like winter and cold and miserable in the uk and the person in the other country and it is all hot and nice and they say good evening and what a nice day it is the morning. I haven’t actually worked as a call rep myself. This post was written to help people who are researching these opportunities and to provide them with a list of possible employers. Thanks for this Steve, you have provided some good info here. I’m looking for ways to make money from home in the short term and some of these companies look great. I too don’t like the idea of potential employees having to pay for the background checks prior to any employment offer but if this is common, it will have to be paid. Do any of these companies contribute to the cost of internet and phone bill? Every company is going to have different policies regarding payment. It’s unlikely they are going to contribute to the cost of your bills, but you should speak with a CPA as these costs will almost definitely qualify as tax deductions for running a business. It won’t cover your costs, but it’ll end up being a nice discount. 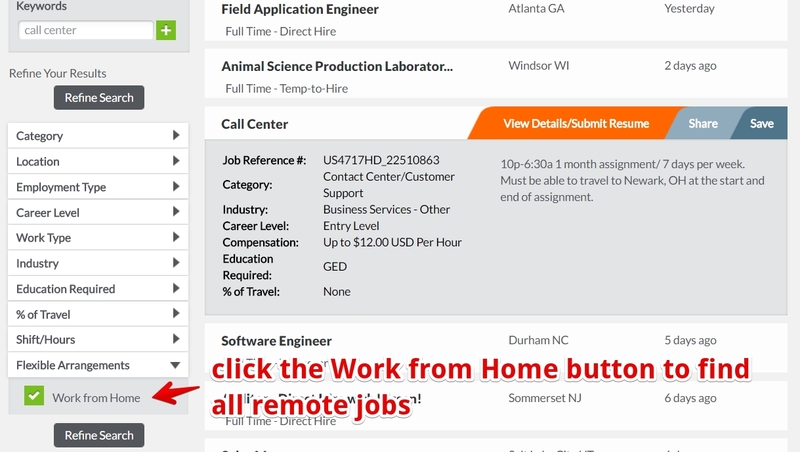 Thanks for taking the time to put together this page for real legitimate work from home/telecommute jobs. I know a ton of people that are interested in this kind of employment and they will benefit greatly from your work here! If you were going to make just one suggestion to someone about making money online, and from home or elsewhere, what would it be? This is a very helpful list that gives the reader rational expectations. I am very interested in some of these opportunities. Do you know how long it takes to get hired by these companies? Are there any hidden costs? How many hours per week can employees hope for? All in all, these seem like options with hidden benefits. No special wardrobe – no daily commute. That has to be worth something. Every company is going to have different standards for their employment practice. It also depends on how in-demand new employees are. Your best bet would be to apply to multiple companies to maximize your chance at getting a call back. There aren’t hidden costs, but there will likely be equipment you need to buy. It’s not any more hidden than having to buy your own knives when you become a chef. A company that requires a potential employee to pay for a background check sounds fishy to me. I would be curious if any of the companies required a drug screening. I imagine the turn over rate would be high for this industry. So there should be lots of job openings for people who want to work from home. Asking employees to pay for a background check is pretty common practice with these types of jobs. There have been some scams floating around recently that have people pay for background checks in order to get a cut of the cost. The scammers have no intentions of ever hiring anyone as the job doesn’t exist, but rather they want to steal your money. That’s why it’s always important to do your research and make sure the person or company you’re talking to is actually elgitimate. These are great ways for people to make money at home. The ideas can help a lot of people who are unemployed or who want to additional income. I especially like this because I don’t have to do the homework to find out if they’re legit or not. I just have to pick out the one(s) I want to work for. I think I like the Cruise… sounds like fun and I’m going to check that one out now. You’re very welcome Monica! Home call center reps are one of the few actual legitimate work at home jobs. Glad this list was able to help you out.